Scientists from the Alfred Wegener Institute, Helmholtz Centre for Polar and Marine Research (AWI) have overcome a seeming weakness of global climate models. They had previously not been able to simulate the extreme warm period of the Eocene. One aspect of this era that particularly draws interests to climatologists: It was the only phase in recent history when greenhouse gas concentration was as high as researchers predict it to be for the future. The AWI scientists have now found that the apparent model weakness is due to a misinterpretation of the temperature indicator TEX86. These molecules, which are produced by archaea do not record the surface temperature of the ancient ocean as expected, but rather the temperature of water depths up to 500 metres. In the current issue of the journal Nature Geoscience, the scientists report on this new finding which has now made it possible to correctly simulate the temperature distribution of the Eocene in climate models. Climate scientists often hear the same complaint: How can climate models accurately predict the future of our planet if it is not even possible to correctly reproduce the climate of the past? One of the unsolved problems was that all previous attempts to simulate the extreme temperatures of the Eocene with climate models failed. At that time, 49 to 55 million years ago, the carbon dioxide content of the air was likely more than 1000 ppm (parts per million) – i.e. at least two times the current greenhouse gas concentration. The earth warmed up so strongly that the icesheets on Greenland and Antarctica disappeared. Instead of ice crystals, palm trees grew there. "Until recently, we believed that the sea surface temperature near the North Pole at the time was 23 degrees Celsius; in Antarctica, it was believed to have been more than 30 degrees Celsius," says Dr Thomas Laepple, climate researcher at the AWI Potsdam. These temperature estimates were based on data from the climate indicator TEX86. This abbreviation stands for a ratio of specific organic compounds produced by archaea, depending on the water temperature in which they lived. "Archaea are unicellular organisms that can in part withstand surprisingly high ambient temperatures. The molecules of the organisms that were living at that time are still preserved in the sedimentary layers of the seafloor. They are one of our most important archives for warm climate conditions, but as we have seen, we decoded them wrongly in the past," says Thomas Laepple. He and his AWI colleague at the time, Sze Ling Ho, first had doubts about the interpretation of the TEX86 temperature indicator during a comparison of climate data from the most recent ice age. The scientists noticed that the TEX86 temperatures were far too cold compared to other geological evidence. "The discrepancy was so obvious that we started to review the TEX86 values of around 3,000 sediment samples from different ocean basins and from different epochs of the Earth. It soon became apparent that the average temperature change inferred from TEX86 was exaggerated, always and on all time scales, by one and a half to two times. The temperature it showed for cold periods was much too cold and the one for warm periods was much too warm," explains geochemist Sze Ling Ho. The cause of this pattern had to be of a fundamental nature, a suspicion that was confirmed upon closer analysis. "TEX86 had previously been interpreted as an indicator of sea surface temperature, in spite the fact that the archaea that produce TEX86 rarely directly live at the sea surface. Through the comparison with other climate archives, we have been able to constrain the depth in which the TEX86 signal is produced. We now assume that TEX86 represents the water temperature at a depth of up to 500 metres," Sze Ling Ho explains. At this water depth, the temperature difference between the tropical oceans and the polar seas is smaller than at the surface. This has direct consequences for climate reconstruction, since the information generated from the indicator is differently translated into temperature values. "In practice, the TEX86 extreme values need to be roughly halved in the climate reconstructions. Comparing the corrected temperatures with the models shows that they now reflect the climate of the Eocene in a realistic and physically consistent way," explains Thomas Laepple. However, we also have to correct our temperature-conception of the Eocene. Thomas Laepple: "The era remains the warmest period of the past 65 million years. The water temperatures that we assumed for the Arctic and Antarctica, though, were overstated by at least ten degrees Celsius. 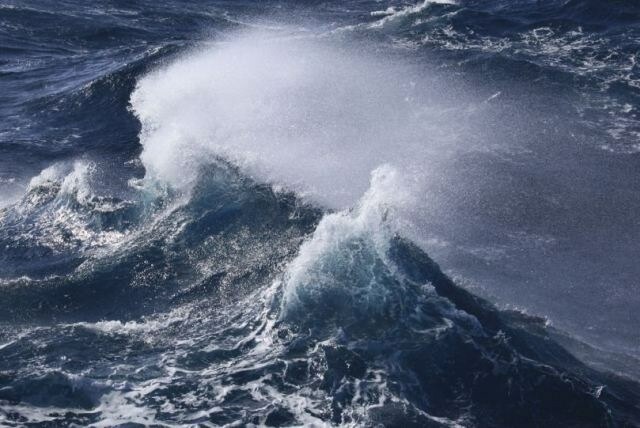 Now, we know that the water in the Southern Ocean had a temperature of about 20 to 25 degrees Celsius at that time. The region was therefore still warm enough for there to be palm trees sprouting on the beach."